After experiencing with your long hair, do you want a new hair look? We suggest that you crop your long hair a bit and style a mid-length bob. Mid-length bobs are the best choice for your new look. Styling a bob is not only to cut the damaged hair ends but also to prepare for a long hair look again. Bobs are adored by women because they can fit any face shape and any hair color. Actually, bobs come in different colors as well as different styles. They can be simply divided into straight bobs and curly bobs. Straight bobs can always bring a youthful vibe while curly bobs bring an ultra-feminine vibe to women. Whether you wear a straight bob or a curly bob, your face will be silhouetted well by the hairstyles. In spite of the styles of bobs, the bangs of bobs are another element to make the hairstyle popular. Either straight bobs or curly bobs can be paired with blunt bangs, wispy bangs or swept bangs. 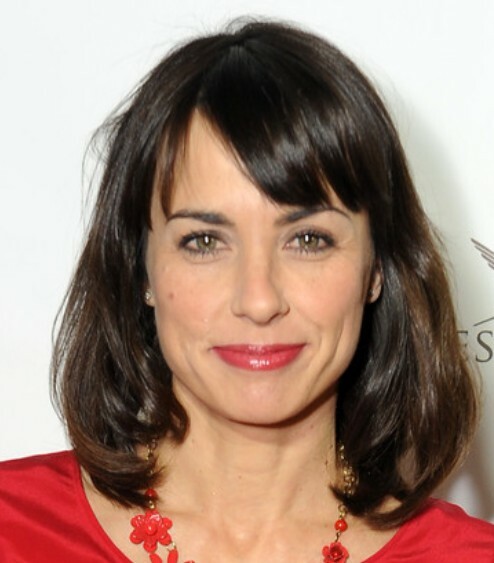 Bobs with bangs conceal women’s forehead, but brighten their eyes and sometimes shorten their face. Here are some mid-length bobs from celebrities. Let’s see how they rock these bob hairstyles. Get inspired and crop a pretty bob later.